Writer James Alan McPherson, Winner Of Pulitzer, MacArthur And Guggenheim, Dies At 72 : The Two-Way McPherson, the first African-American to win the Pulitzer Prize for fiction, has died at 72. His work explored the intersection of white and black lives with deftness, subtlety and wry humor. 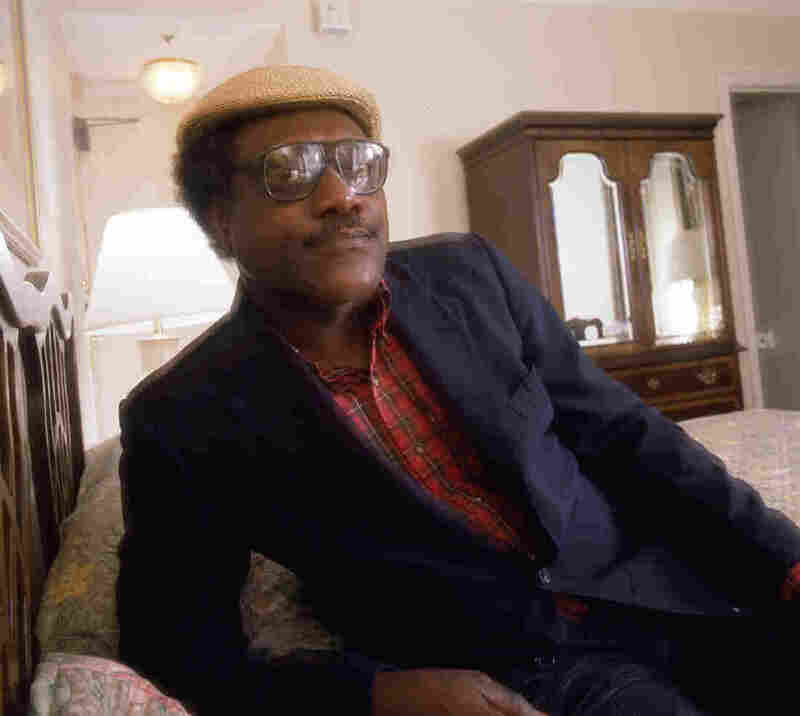 American author James Alan McPherson, photographed in 1984. He put himself through Harvard Law School working as a janitor; the month he graduated he sold his first manuscript to the Atlantic Monthly magazine. In 1972, he was awarded a John Simon Guggenheim Fellowship. In 1978, he became the first African-American writer to win a Pulitzer Prize for fiction, for his collection Elbow Room. That same year, he talked to The Atlantic about his approach to writing, to race, and to life: "I believe that if one can experience diversity, touch a variety of its people, laugh at its craziness, distill wisdom from its tragedies, and attempt to synthesize all this inside oneself without going crazy, one will have earned the right to call oneself 'citizen of the United States.'" In 1981 he was named a MacArthur Fellow, and in 1995 he was inducted into the American Academy of Arts and Sciences. Later in life, he spent many years as a professor at the Iowa Writers' Workshop in Iowa City. I studied under him there in 1994 and 1995. He was a kind and very gentle man, soft-spoken to the point of shyness, but as a teacher he could be quite firm, unafraid to point out a young writer's blind spots. He believed that to write fiction in America meant writing about class in America, and that young writers must remain mindful of that fact, lest their work come off as callow and shamefully ignorant. Many times I watched him press a student in his workshop (on more than one occasion, me) about the racial and cultural underpinnings of his or her story: what did it mean that I set this scene at a swanky restaurant? How could my characters afford it? What were they prioritizing in their lives to make that choice over others? And if they truly didn't have to worry about money, how would that affect the way they moved through the world? Did they believe themselves entitled to the life they lived? Did they even notice the waiters and busboys swirling around them? American history was a passion of his, and though his work often evinced a wry humor, in person he struck me as a serious man who cared deeply about the shadow that history casts on the present. I remember him walking into workshop the weekend after the film Forrest Gump came out, and spending fifteen minutes quietly but passionately fuming over its glib, whistle-stop debasement of the American experience. He wasn't a the kind of teacher who offered his students close line-edits; instead, he was someone who read your work and reflected it back to you, patiently explained just what you had really written — and what you had not. And if you were a writer like I was then, you couldn't help but come away from a workshop with Jim believing that what you hadn't written was the stuff that was really worth writing about. James Alan McPherson died today in an Iowa City hospital of respiratory failure and other complications. He was 72. Petra Mayer contributed to this report.